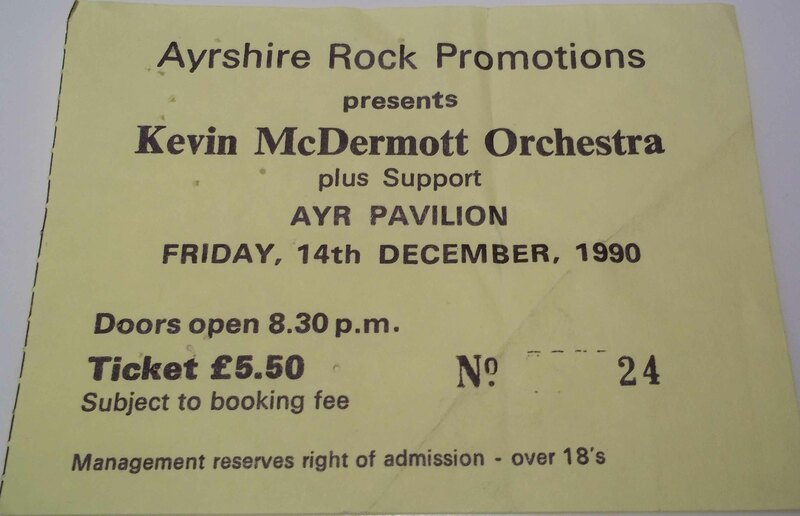 Kevin has played many gigs over the years so we have started a gig ticket archive. 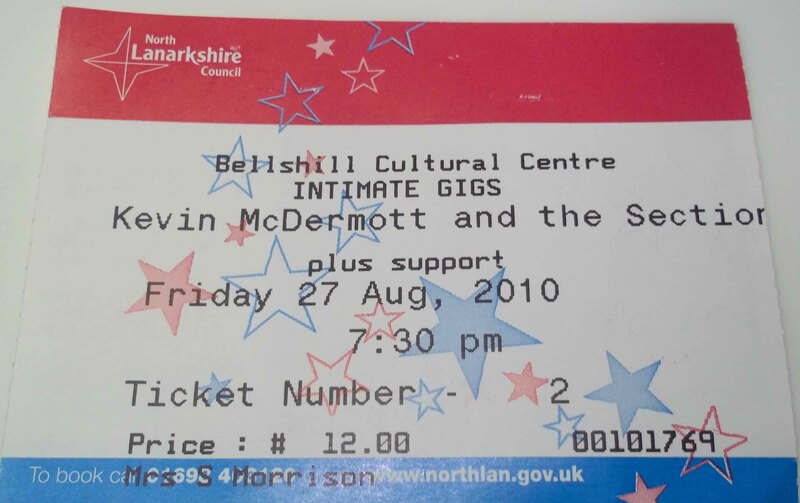 If you have a ticket not shown please send us a photo of your ticket and we will include it here. 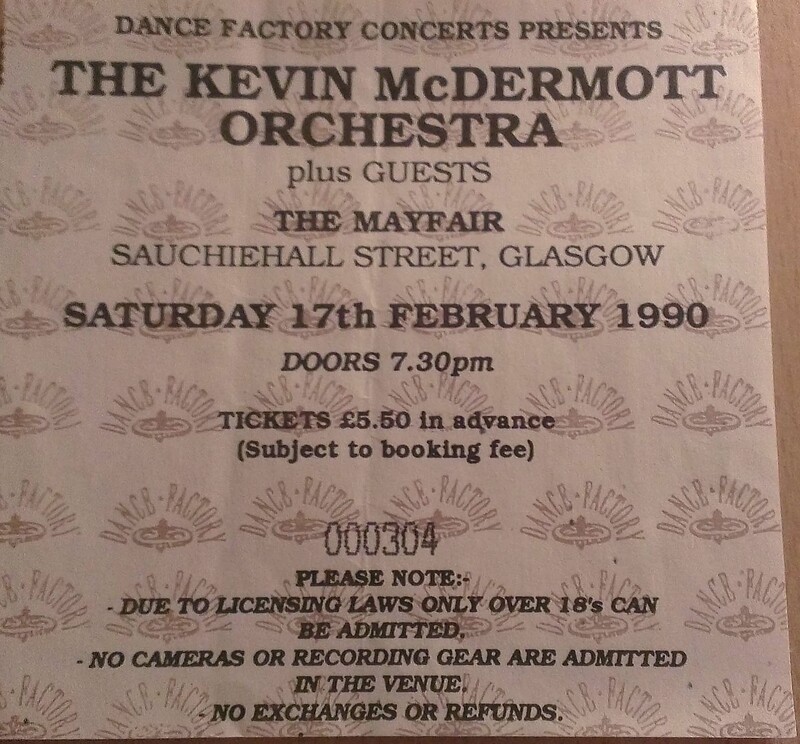 Kevin McDermott Orchestra - The Mayfair February 17th 1990. 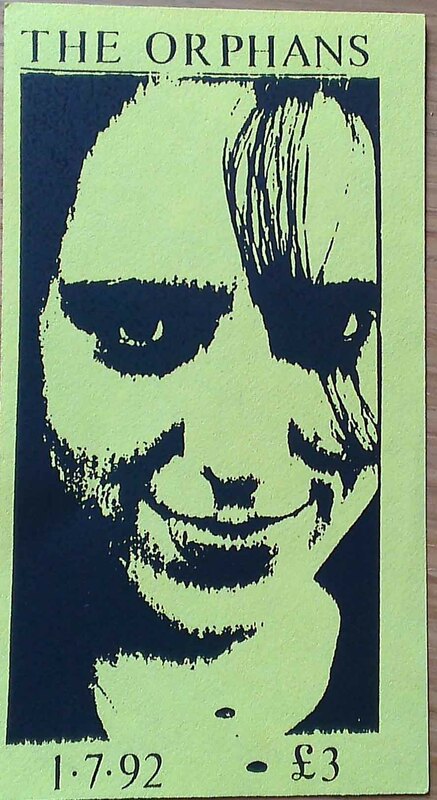 The Orphans - Apollo July 1st 1992. 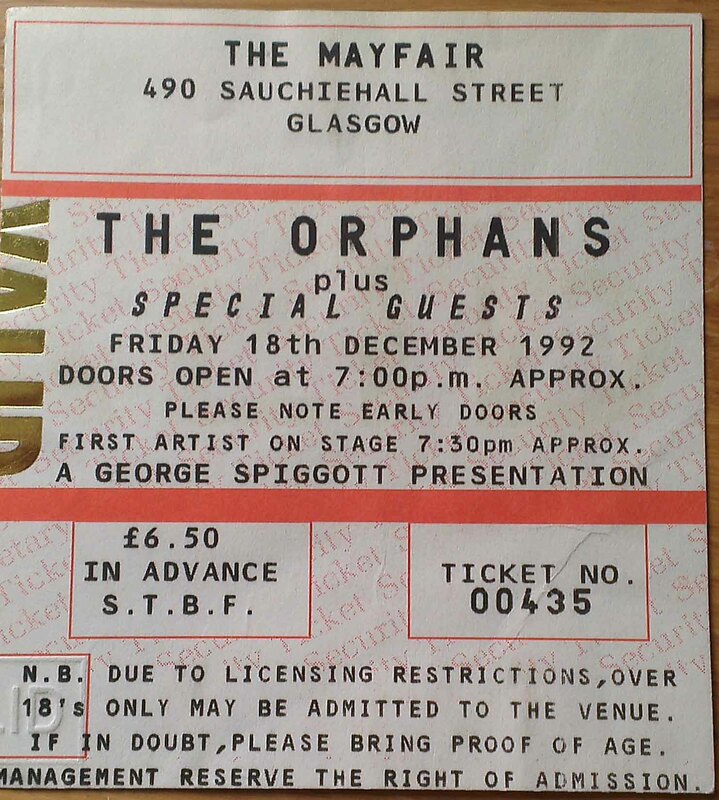 The Orphans - Mayfair December 18th 1992. 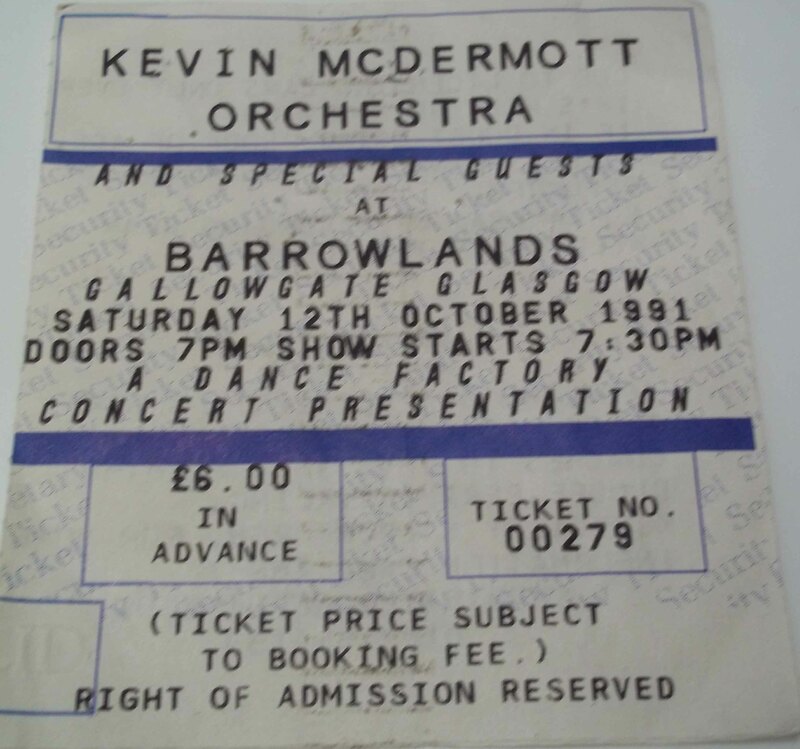 Kevin McDermott Orchestra - Barrowlands July 1th 1994. 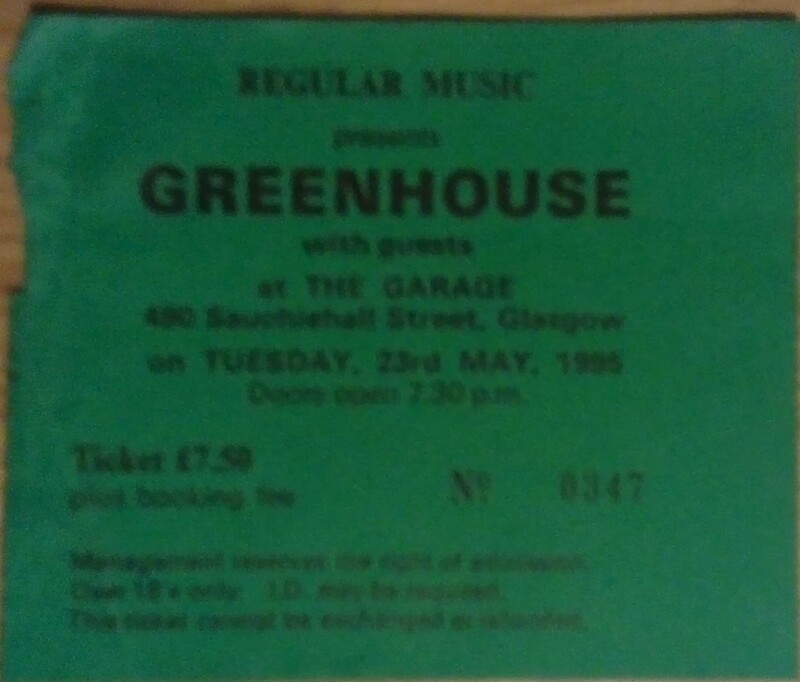 Greenhouse - Mayfair May 23rd 1995. 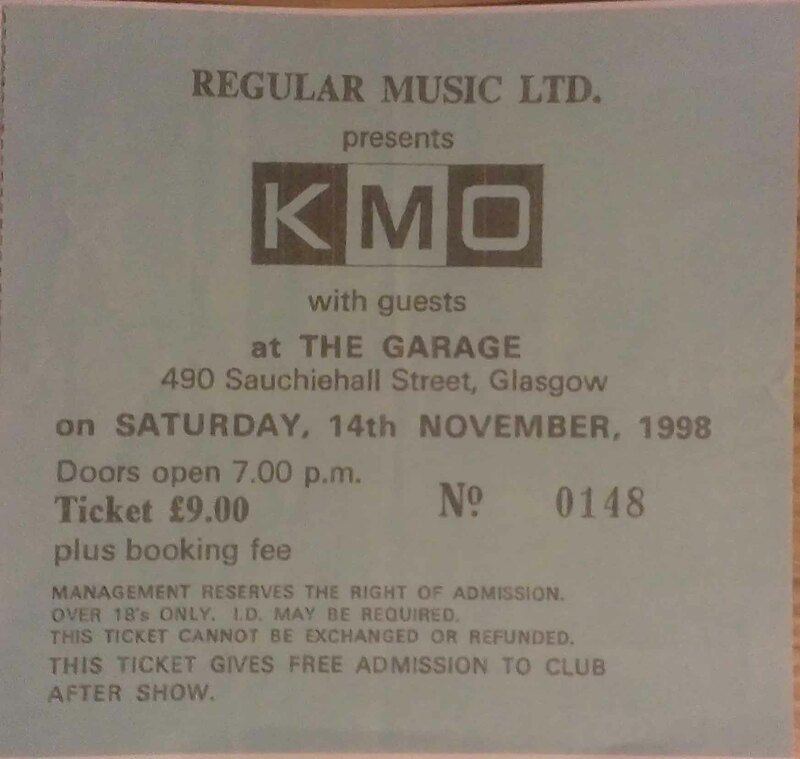 Kevin McDermott - King Tuts January 17th 1997. 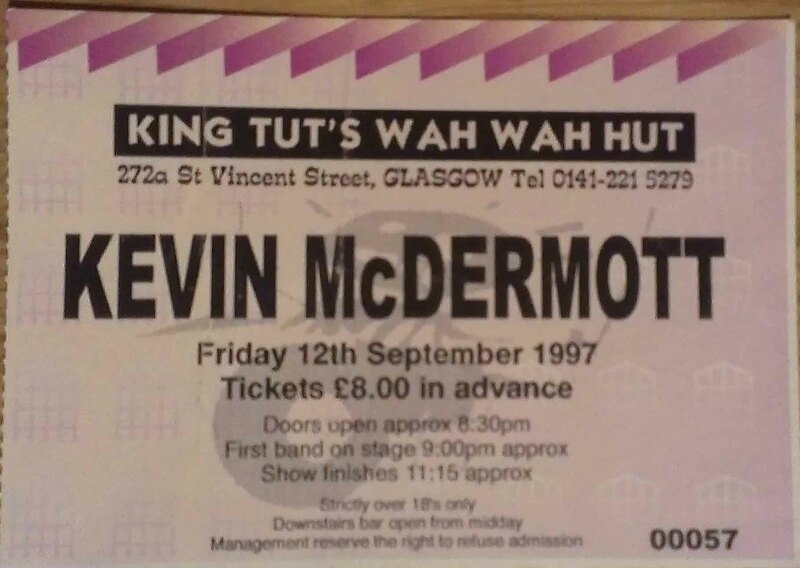 Kevin McDermott - King Tuts September 12th 1997. 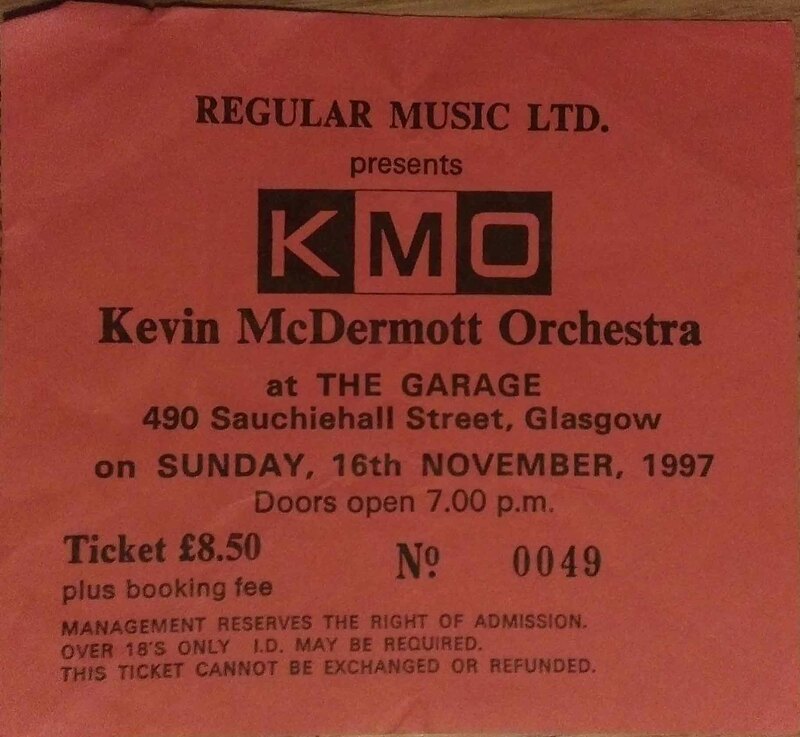 Kevin McDermott Orchestra - The Garage November 16th 1997. 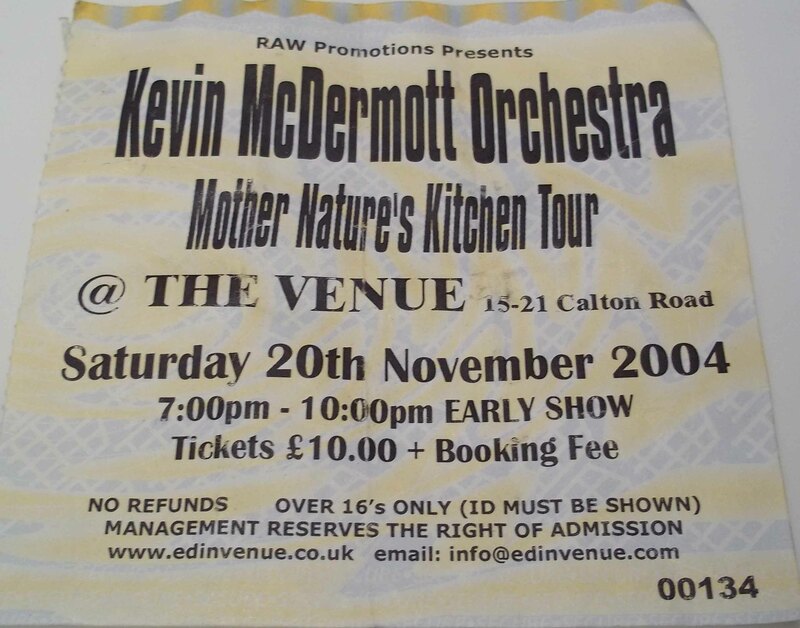 Kevin McDermott Orchestra - The Garage November 14th 1998. 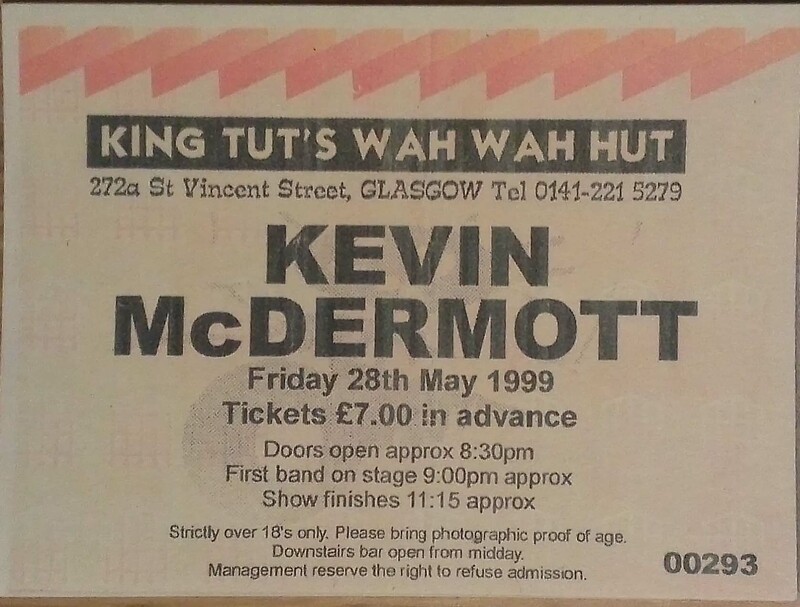 Kevin McDermott - King Tuts May 28th 1999. 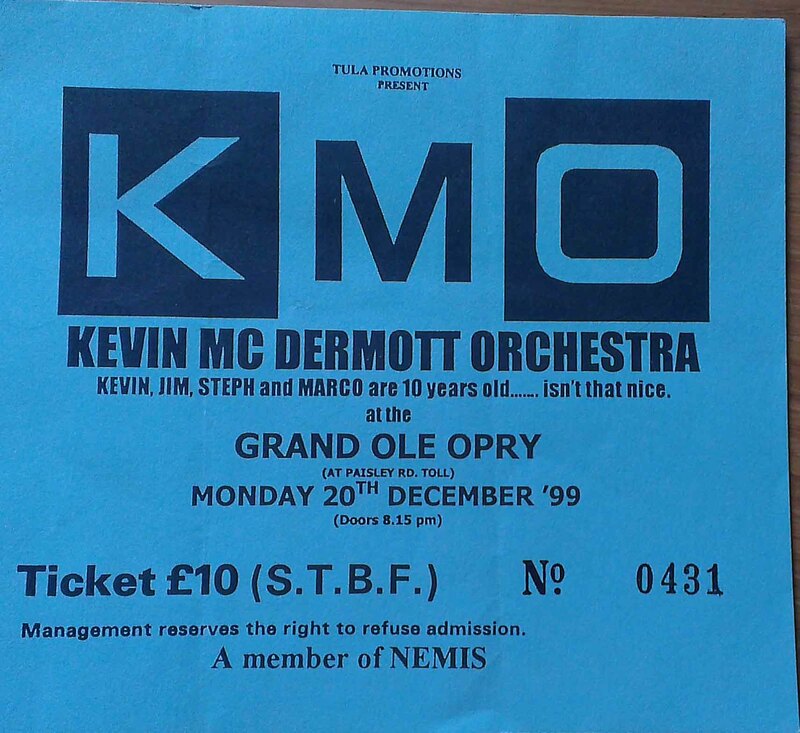 Kevin McDermott Orchestra - Grand Ole Opry December 20th 1999. 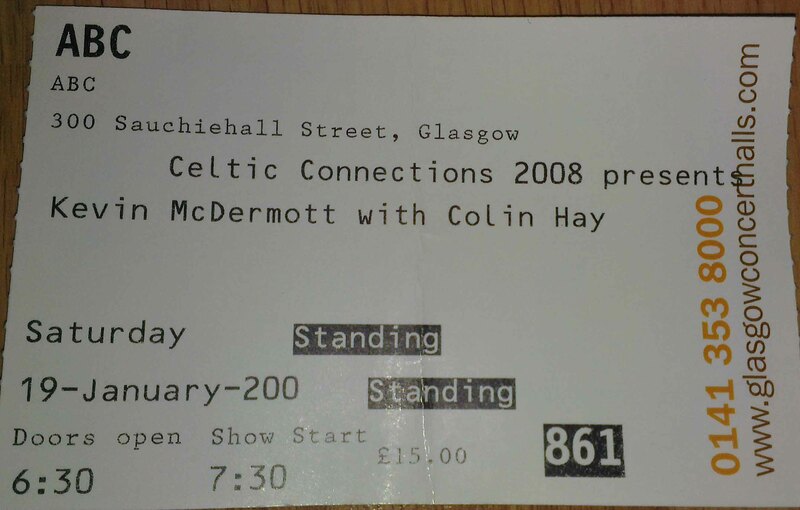 Kevin McDermott - Fruitmarket January 19th 2001. 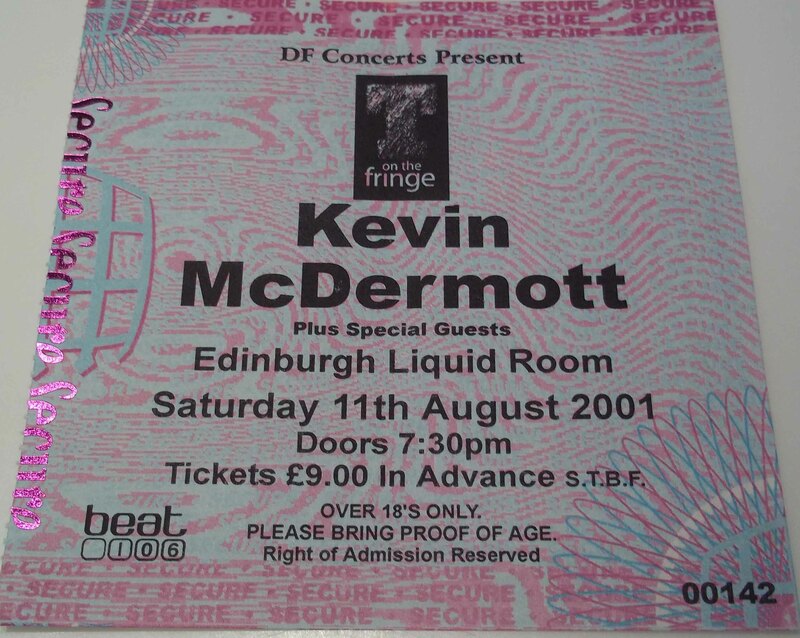 Kevin McDermott - The Cottier June 14th 2001. 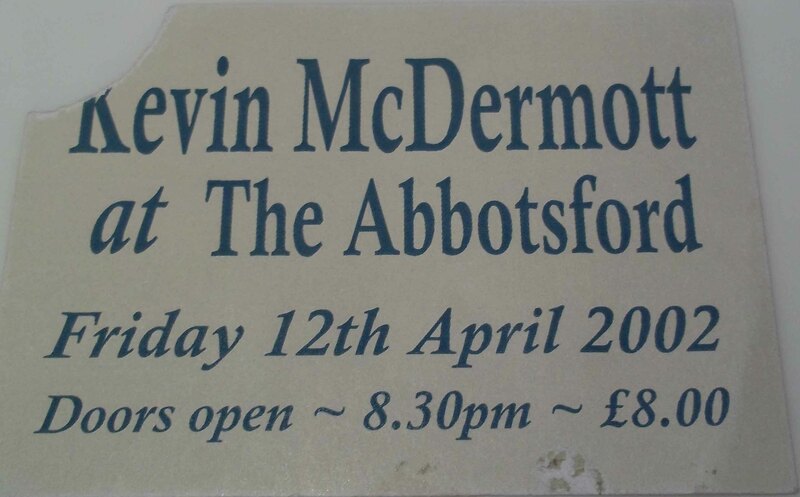 Kevin McDermott - The Abbotsford April 12th 2002. Kevin McDermott - The Garage May 6th 2005. 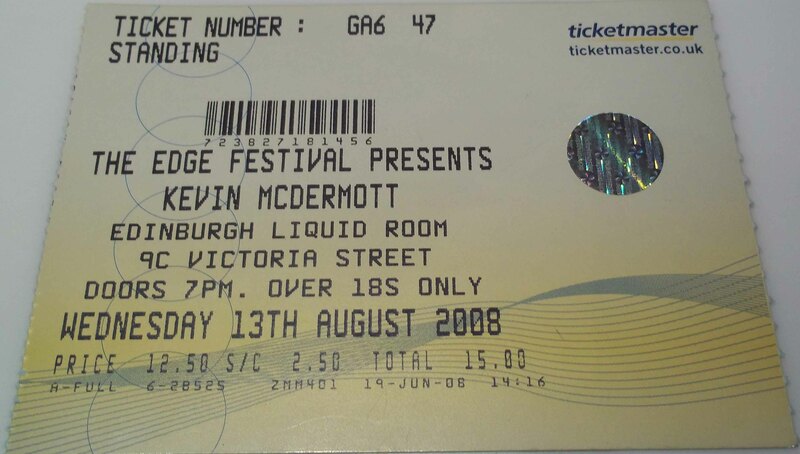 Kevin McDermott - ABC January 19th 2008. 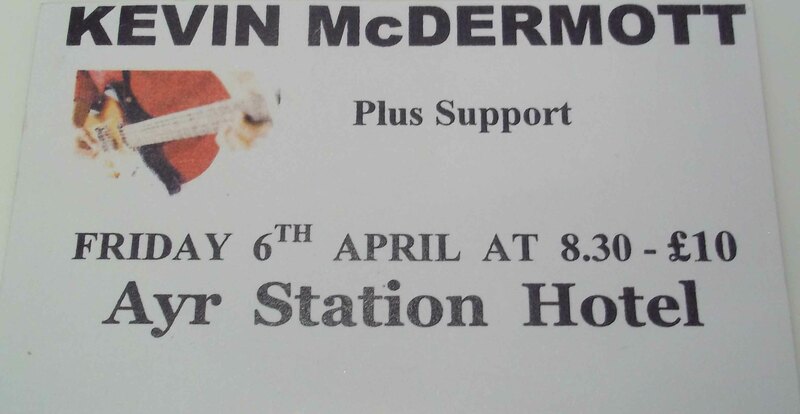 Kevin McDermott - Oran Mor June 23rd 2008. 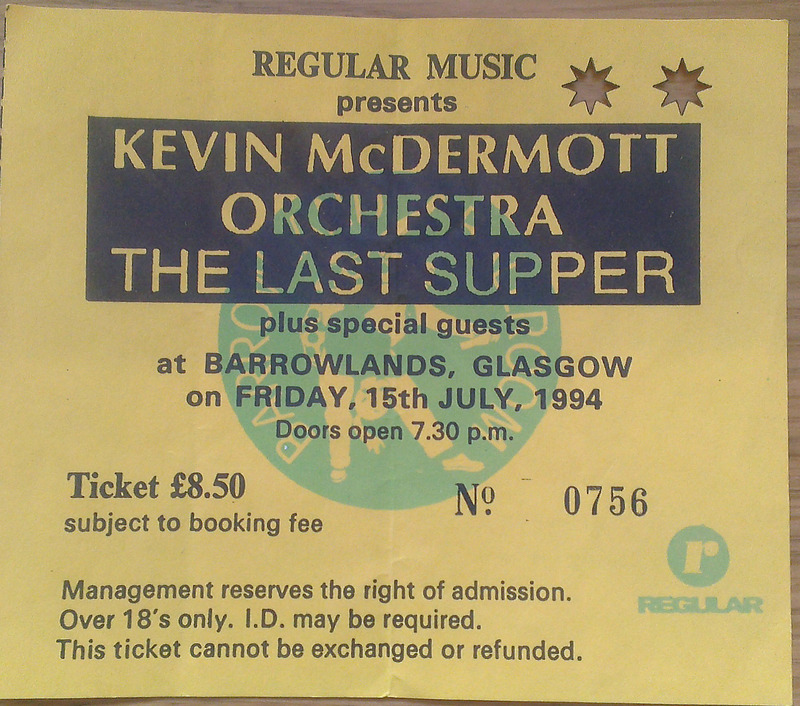 Kevin McDermott & The Section - Oran Mor June 22nd 2011. 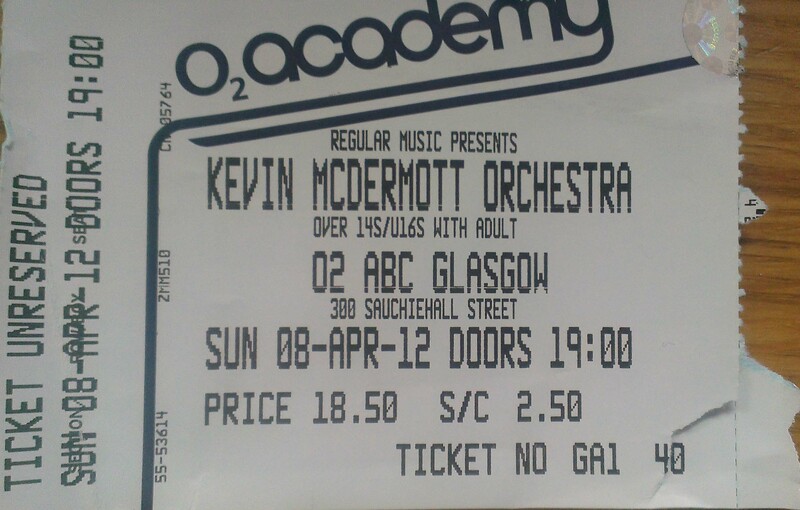 Kevin McDermott Orchestra - ABC April 8th 2012. Kevin McDermott - Tron Theatre August 31st 2013 - Afternoon performance. Kevin McDermott - Tron Theatre August 31st 2013 - Evening performance. 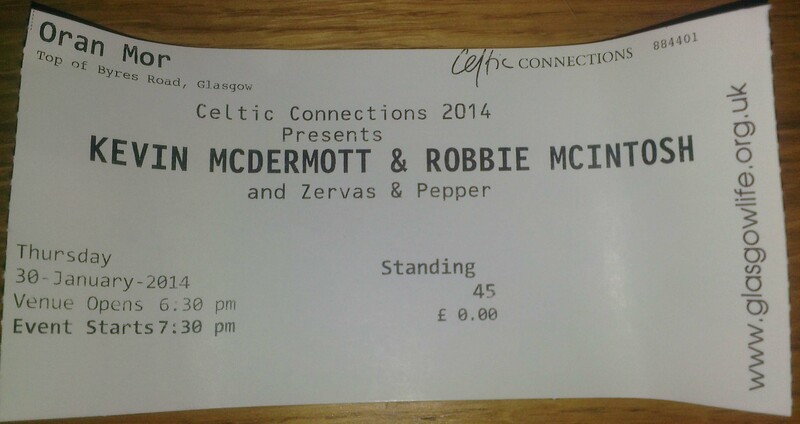 Kevin McDermott & Robbie McIntosh - Oran Mor January 30th 2014. Kevin McDermott - Beacon Theatre July 25th 2014. 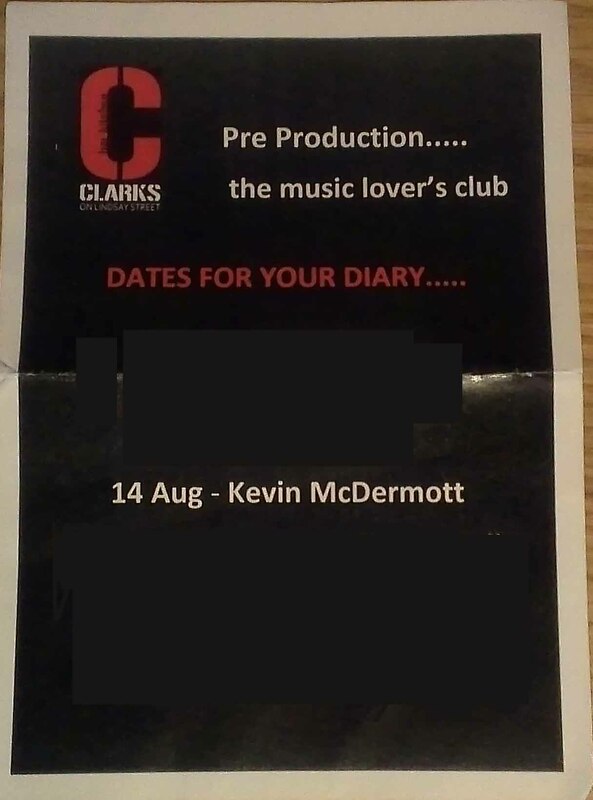 Kevin Mcdermott - Clarks August 14th 2014. 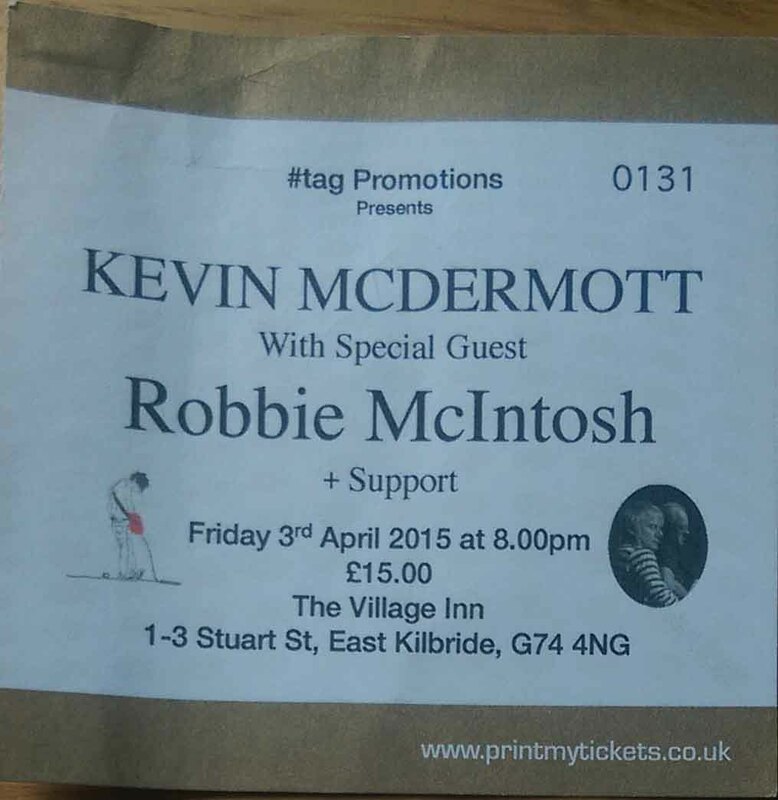 Kevin McDermott & Robbie McIntosh - The Village Inn April 3rd 2015. 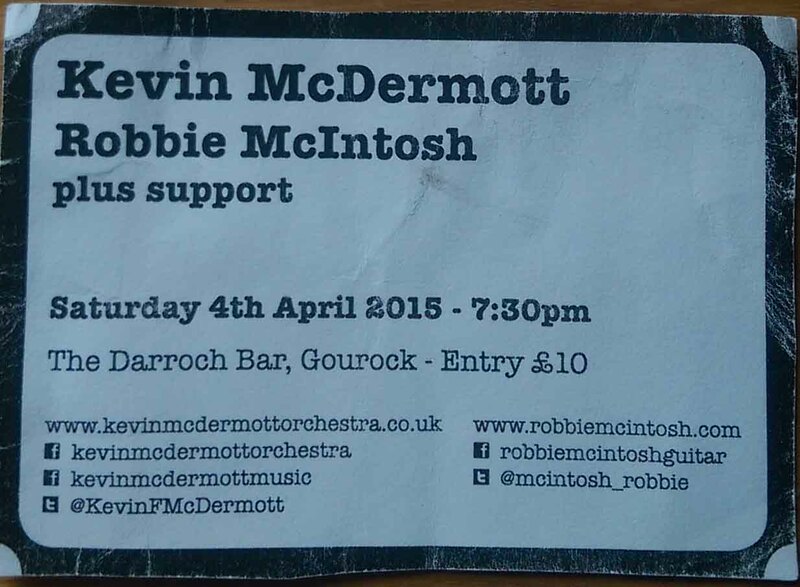 Kevin McDermott & Robbie McIntosh - The Darroch Bar April 4th 2015.